Published in the Dover Express, 12 June, 1981. On the high ground above the bus terminus at Minnis Lane is River Minnis, which in 1829 was described in Ireland’s History of Kent thus: “The poor have a right of common on a heath comprising 300 acres, called River Minnis, lying on the hills at the southern boundary of this parish, adjoining Poulton.“ The land is now enclosed. Just below the bus terminus is River church, in a pretty churchyard; but it is a very plain structure, having been rebuilt in 1831. Before the rebuilding it was described by Ireland as: "A small structure containing a nave and a chancel, there being no steeple or anything deserving of notice.“ The rebuilding, which was on the early 19th century utilitarian lines, seems to have left it plainer still, comprised mainly of four square walls, very substantial, but utterly devoid of ornament. It was restored in 1876 at a cost of about £700, when an apsidal chancel was added, and the high-backed pews and a west gallery, which were a disfigurement, were removed. The musical service of this church was, in the beginning of the 19th century, assisted by the voices of the paper-makers and a pitch pipe. Later, when Mr Plater was vicar, a barrel organ was introduced, which was noted for the monotony of its ten tunes and the unreliability of its action. During the time of the next vicar, the Rev E. G. Boys, it gave place to a harmonium; and that, in the time of the Rev C. Morice, was superseded by an organ. This church, like the paper mill and mill pond which once adjoined it, is in the borough of Dover. On the right-hand side of the churchyard path, opposite the church, is the grave of Thomas Radford, who was either the founder or an early proprietor of this River paper mill. Mr William Phipps, who rebuilt the mills about 170 years ago, married a daughter ox Mr Thomas Radford, and so the mills came into the possession of the Phipps family, the third generation of which were associated with them well into the 20th century. The houses in River Street used to have a distinctly rural character, and were originally built for the paper-makers. On the Lower Road side, just below the old mill, is the Dublin Man of War, a comparatively new house, which is the successor of the old licensed house of the same name which stood nearly opposite the mill, from which it derived much of its custom. Mr William Phipps, who was a masterful man, when he thought his mill hands were spending too much time there, used to go in and clear the house. In the Lower Road the largest establishment is the stores of the Dover and District Co-operative Society. This society was started in River in the year 1880, in a very small shop a little westward of the present one, by Mr Radford Evans and a few others, mainly paper-makers. The progress of this society has been remarkable. It began as a shilling-a-week tea club involving 17 workers at River Paper Mill and was launched with a capital of £139. From these humble beginnings it grew into the largest retail trading organisation in the Dover area. Sales in the first year totalled £1,162. Capital in 1907 had grown to £42,729, no small sum in those days, while the bakery at River got through about 240,000 gallons of dough in 1906. In the 25th year sales exceeded £81,000. But by 1959 annual turnover had topped the £2 million mark. 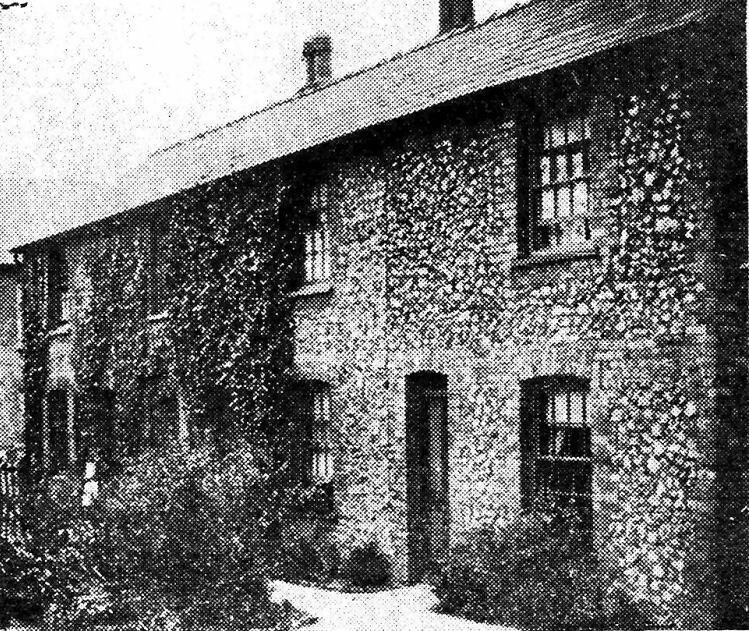 The 17 mill workers started a fund with which they bought and sold packets of tea, coffee and cocoa and after a time their profits were sufficient to meet the preliminary expenses of the formation of the River and District Co-operative Society, which they established in one of the tiny flint cottages opposite the mill where they all worked. They started a small grocery and baking business with a share capital of £139 subscribed by 65 members, with Mr Radford Evans, whose grandson was later clerk to the old Eastry Rural Council, as secretary. An original wrapper from one of those first packets of coffee, which helped in the formation of this now prosperous organisation, was kept among the souvenirs of Mr George E. Rayner, whose family was closely associated with the Society from the very start. Mr Rayner’s father William was one of the original 17 and was president of the Society for 24 years until 1912. Both his sons Joseph and George became Co-operative managers. The first share register of the Society contains the names of, as well as Radford Evans and his son Walter, a number of local brick-makers, George James and Stephen Lawrence, John West, George Fisher and William Lane, paper-makers William Dunne and Edward Smith, labourers Richard Chester, William Rogers, Thomas Bailey and Richard Fakeley, a wagoner, William Bushell, and William Croft, who was a coachman. George Goldsack also appears in the list, but without an occupation. Mr Radford Evans continued as part-time secretary until 1887 when he became the first president and his son Walter the first full-time secretary. It was in the following year that Mr W. Rayner began his 24 years as president and it is remarkable that in 80 vears the Society had so few chief officers Walter Evans continued as secretary until 1929, when he was succeeded by Mr A. S. Haines, to be followed in 1952 by Mr W. Taylor Irwin and in 1955 by Mr W. Kenyon. Although the first year’s takings at the little shop in River were only £1,162 and the profit was but £36 it was sufficient to pay members a dividend of 9d. on every £ spent. Trade rapidly improved. Within ten years the Society had opened its first store in Dover’s main shopping centre, where its headquarters have been ever since. Before the Society was 20 years old the annual turnover had increased to £30,000 and its success has continued ever since. 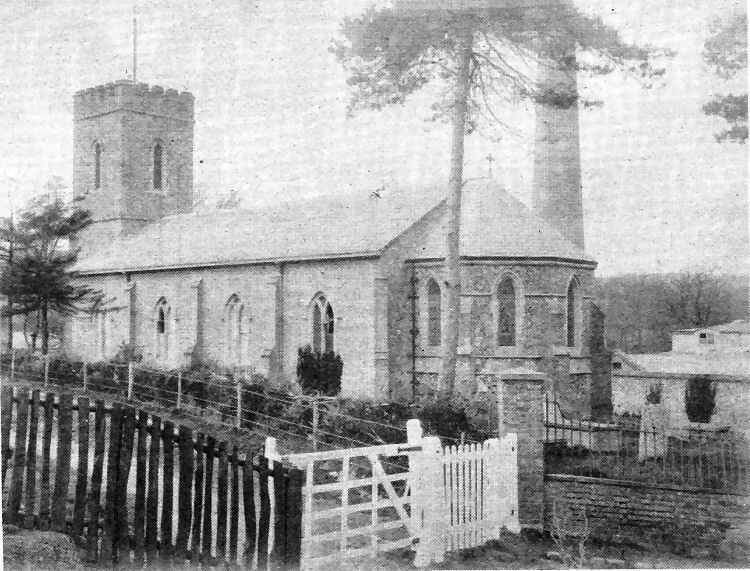 Photographed before the turn of the century by Jacolette, this is the rather plain church of St Peter, at River. Behind it, alongside the River Dour, are the buildings and the lofty chimney of the boiler house of the old River Paper Mill. The picture, above, is where 17 of the paper-makers at that mill established a business which was to grow into the Dover Co-operative Society, starting with a shilling-a-week-per-worker fund with which they bought and sold packets of tea, coffee and cocoa.